Linda Smith MPH, FACCE, IBCLC, FILCA, is confirmed as the Keynote Speaker for the 2013 ALCI Conference. Linda is a lactation consultant, childbirth educator, author, and internationally-known consultant on breastfeeding and birthing issues. Linda is ILCA’s liaison to the World Health Organisation’s Baby Friendly Hospital Initiative and consultant to INFACT Canada/IBFAN North America. 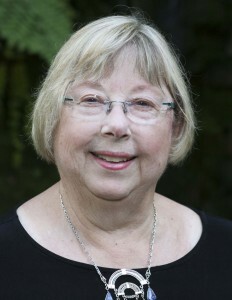 As a former La Leche League Leader and Lamaze-certified Childbirth Educator, she provided education and support to diverse families over 35 years. Linda was a founder of IBLCE, founder and past board member of ILCA, and is a delegate to the United States Breastfeeding Committee from the American Breastfeeding Institute. She owns the Bright Future Lactation Resource Center, whose mission is “Supporting the People who Support Breastfeeding” with lactation education programs, consulting services, and educational resources. This theme of this two day ALCI Conference is ‘Creating Realistic Breastfeeding Expectations’ and it will take place in the Green Isle Hotel, Clondalkin on October 4th and 5th 2013. Further detail will be available here.